So you are planning to have a CCTV maintenance contract? Keeping the crime records for strong evidence is definitely a responsible and necessary step. If you are going for a CCTV system you can expect much more from it. 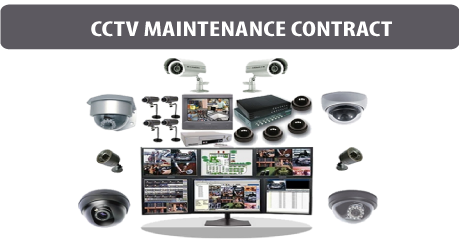 So, you should have a CCTV maintenance contract for your system. CCTV systems are the latest invention in the field of security systems. Employing the cellular technology these systems monitor your household and sends instant notification in case any attempted intrusion. But that’s not all. A CCTV maintenance contract ensures your system is working as it should and it complies with the current regulations. 1) Remote monitoring: This is a cool upgrade that you’ll love, if you have kids or elderly family members at home. Through CCTV maintenance contract, your system will work properly and you can monitor the areas in and around your household with the help of a live video feed. You can access this remote monitoring through your smart phone, tablet or computer while you are away from home. It is a great way to keep an eye on children, or elderly family members. 2) Home automation: This is one upgrade that will provide you with total control over your home when you are miles away from it. Through home automation, your CCTV maintenance contract ensures that your CCTV system is up and running all the times that gives you total control over all your electrical equipment’s at home, doors and windows. No matter how far you are from home, let a guest enter into house, switch of the television, and even switch on the lights by using your smart phone.